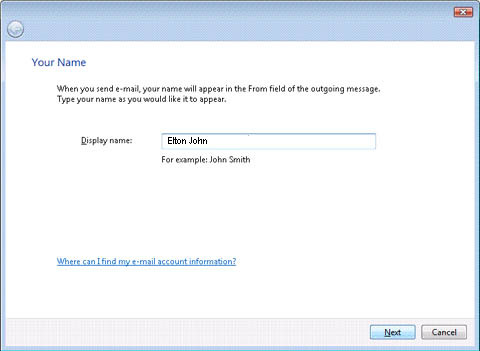 The following setup guide shows the steps required to setup Windows Vista Mail for use with Beagle. First start Windows Mail by clicking the Vista Start button and then select the Windows Mail icon. 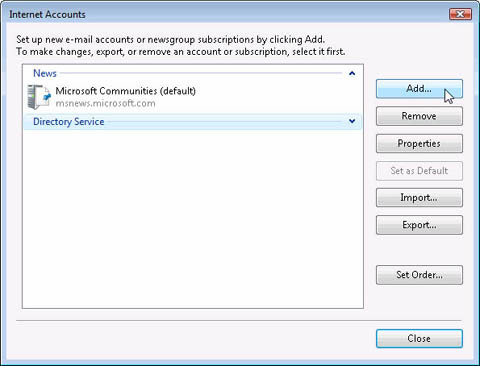 Click Add button and then select Email Account and then Click Next. You will then be with the presented with the following screen. Enter your name. This is what people will see when you send them an email. Then click Next. Now enter your Beagle Internet email address. For example elton@beagle.com.au and click Next. Now enter the Beagle Internet mail server details. 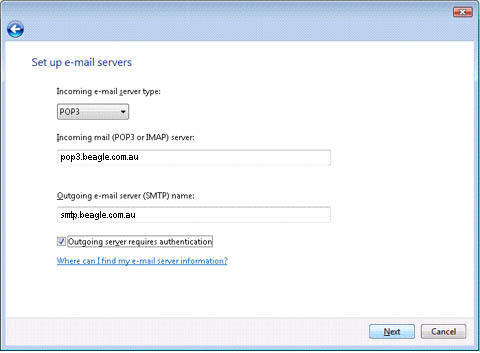 The incoming server is pop3.beagle.com.au and outgoing server is smtp.beagle.com.au. Make sure the Outgoing server requires authentication option has a tick in it. If it is not ticked, you will not be able to send email. Input the Beagle Internet email address. 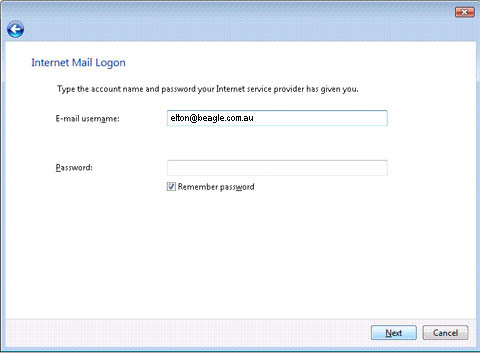 For example elton@beagle.com.au and input your password in the appropriate fields. Now click Next. Make sure in the subsequent screen the Do not download my e-mail and folders at this time option is checked and click the Finish button to return to your account list. Your account is now setup! 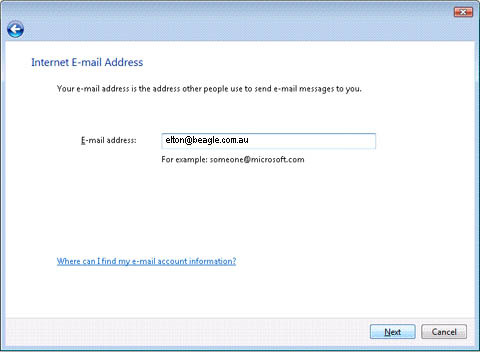 Click the Close button and re-start Windows Vista Mail to start sending and receiving email.